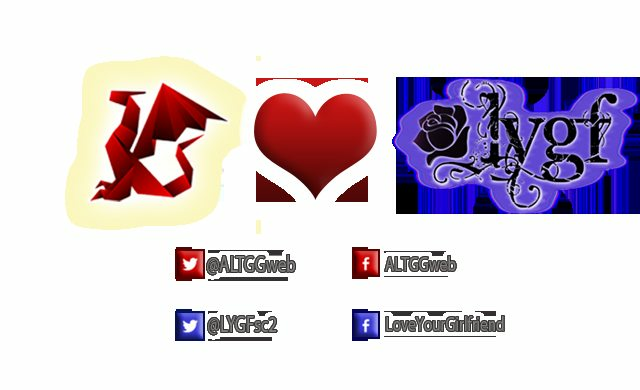 ALTGG is proud to announce the addition of Love Your Girlfriend to our pro gaming lineup. Despite their youth as a team, LYGF has been showing huge potential in Starcraft 2. Over the past few months the team has been growing at an incredible rate, and we look forward to seeing their future in e-sports. I am happy to be able to work with such a great website as Altgg.com and excited to see what we can accomplish together. LYGF has been relevent since December of 2013 and we are movited to keep on track on producing the best resultes we can. With Altgg.com and LYGF parterning I know 2014 will be a great year for both of us. We're so happy to be supporting Starcraft 2 and LYGF. Despite what people might say about the current state of SC2, the fact still remains that without Starcraft, eSports would not be what it is today. In fact, without Starcraft (and the eventual release of WC3), Dota and LoL would not even exist in their current form. We're glad to see MLG and other organizations show a renewed interest in Starcraft 2, and we think the game has a fruitful life ahead of it. LYGF have done an excellent job at providing a home and competitive atmosphere for their players, and we hope to aid them in that journey. ALTGG Strives to be a model for community driven eSports. Through community growth and enthusiastic media, we want to support the eSports scene in a more sustainable way. ALTGG provides free game servers to communities, teams, and clans. ALTGG also provides a clean streaming platform where members can easily have their streams listed and view other streams. We work to provide regular giveaways and events for members, and firmly believe that success in eSports depends on grassroots activity. Well.. I guess we'll see how this goes. Awesome, great to have another sponsor. Sounds like a great sponsor! Can't wait to work with them. I checked your website and your "big" sponsor vanished. So who is your big sponsor now? Can we just all agree to say that Love Your Girlfriend was founded 6 days before from now on? I thought he had retired? Everything about this team and its sponsors just screams "SCAM!"